On the 1st (Wed), appreciate the history behind Monument Rani Jhansi, then contemplate in the serene atmosphere at Jakhu Temple, then make a trip to The Mall, and finally stroll around Annandale Ground. For traveler tips, more things to do, other places to visit, and more tourist information, refer to the Shimla road trip app . Chandigarh to Shimla is an approximately 2-hour bus ride. You can also drive. Wrap up your sightseeing on the 1st (Wed) early enough to travel to Kaza. Kaza, is the sub-divisional headquarter of Spiti Valley in the district of Lahaul & Spiti in Himachal Pradesh. Its located at 3600 ASL and is a cold desert. Kick off your visit on the 2nd (Thu): wander the streets of Hikkim, make a trip to Langza, then make a trip to Kibber Village, and finally admire the verdant scenery at Spiti Valley. To find photos, reviews, traveler tips, and tourist information, go to the Kaza route planner. Drive from Shimla to Kaza in 11.5 hours. Finish up your sightseeing early on the 2nd (Thu) so you can go by car to Manali. 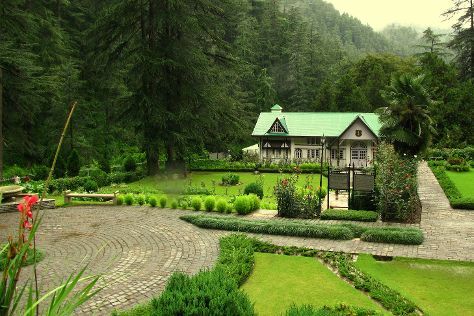 Start off your visit on the 3rd (Fri): take in the spiritual surroundings of Hidimba Devi Temple, then admire the sheer force of Jogini Waterfall, then appreciate the views at Solang Valley, and finally contemplate the waterfront views at Beas River. To see ratings, more things to do, and other tourist information, read Manali visit planner . Traveling by car from Kaza to Manali takes 5 hours. Wrap up your sightseeing on the 3rd (Fri) early enough to drive to Dharamsala. Kick off your visit on the 4th (Sat): explore and take pictures at Norbulingka Institute, then relax and rejuvenate at some of the top local wellness centers, then take in the spiritual surroundings of Dalai Lama Temple Complex, and finally take in the dramatic scenery at Bhagsu Waterfall. To see reviews, traveler tips, where to stay, and other tourist information, read Dharamsala trip planner . You can drive from Manali to Dharamsala in 5 hours. Alternatively, you can take a bus. Wrap up your sightseeing on the 4th (Sat) to allow time to travel back home.